You recall Wizkid was to host his homecoming concert at the end of the year in Lagos, a concert he promised he was going to give all he earns back to charity. 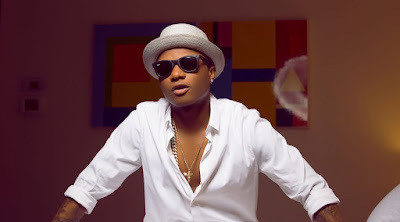 Wizkid is heartbroken! 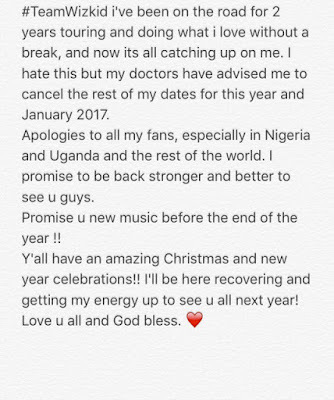 He has released a statement that states he has cancelled all his shows scheduled to hold this December and January 2017 because his doctors have advised him to. 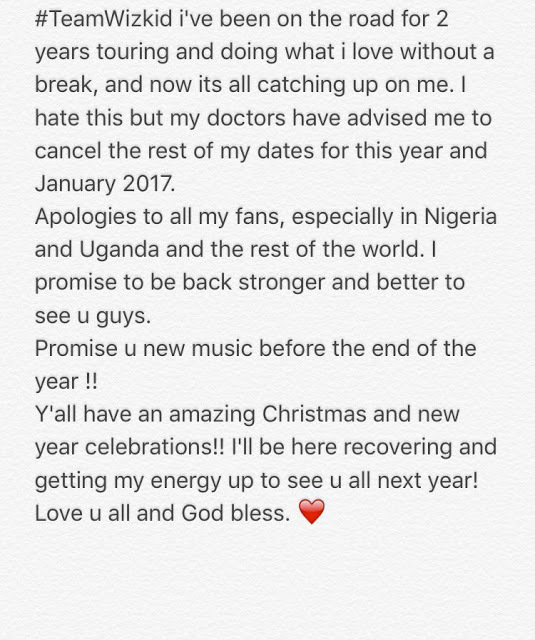 Wizkid said he has been on the road touring and doing what he loves for two years non stop and now, it's all catching up on him.